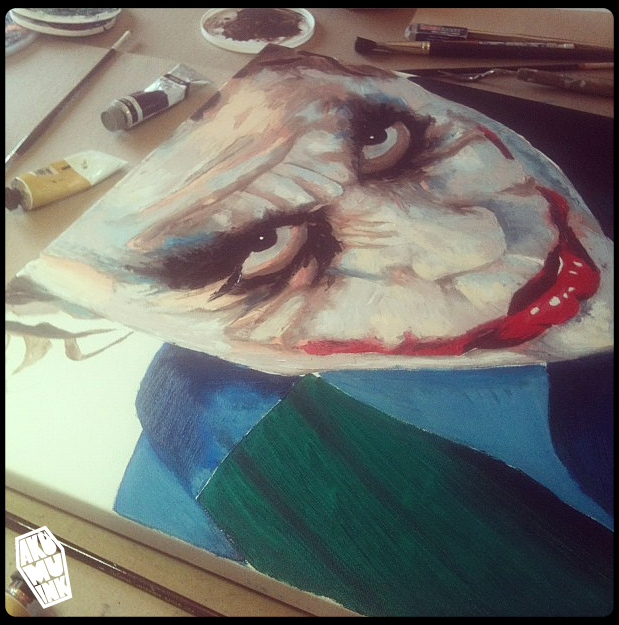 Latest update since this morning on the latest Joker piece. Obviously at this point it's already miles beyond anything I've ever done in the past. Loving how this piece is turning out, I would say at this point I'm about halfway done. Next step is to work on the shadows and create more shape to the face. I'm really loving working with the pallet knife, that was pretty much mainly what I used for most of the piece.